As mandated by the Centers for Medicare and Medicaid (CMS), the healthcare organizations would have to shift from a fee-for-service to value-based payments by 2018. This move by CMS has led to healthcare providers evaluating alternative payment models while scouting for practice management/ medical billing software that helps them deliver high quality service with improved efficiencies and reduced costs. 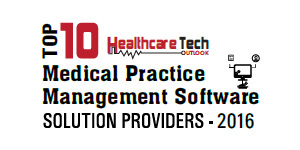 Additionally, there is an increasing demand for practice management software platforms that feature functions for claims management, medical billing, and financial reporting. With more than three decades of having collaborated with medical providers in streamlining their task efficiency, Advanced Data Systems Corporation (ADS) today caters to thousands of medical practices irrespective of size and speciality. Initially founded as a radiology-oriented systems provider, ADS has retooled their interoperable automation solutions to accommodate the needs of multi-speciality medical groups, healthcare enterprises, and high volume medical revenue cycle management companies. Catering to the healthcare providers’ need for a holistic practice management solution, Paramus, NJ-based ADS offers a comprehensive medical billing software suite—MedicsPremier. Equipped with a Medics ICD-10 Code Converter that displays ICD-10 code, MedicsPremier allows healthcare enterprises to be prepared for any eventuality, in terms of claims processing. “ADS was ready for ICD-10 from its first deadline date of October, 2013,” states David Barzillai, President of ADS. “Now that ICD-10 is here, it has basically shown itself to be a non-event for our clients, which is excellent.” Meanwhile, the MedicsPremier Claims Denial Manager displays denied claims and the reasons for being denied. Another excellent feature for forecasting revenue and budgeting, the real-time Claim Tracking option provides views for pending claims exactly as they appear in each payer’s queue. The WindowOne functionality from ADS enables users with a readily-required display while working on any MedicsPremier Practice Management window. As a part of the streamlined workflow offered by MedicsPremier, a provider can schedule appointments, view a patient’s balance and general account inquiry, along with their last diagnosis and the procedures used. Addressing the crucial need of medical practices for data driven operations, MedicsPremier offers a comprehensive range of built-in, highly user-definable reports for displaying management and financial data. This feature includes easy export of reports to an excel format while ensuring that the system response time is not degraded while reports are being compiled. In addition to discounting the need for expensive, add-on report writing utilities, MedicsPremier’s reporting feature ensures the reportability of every data field and allows users to drill-down into the details as and when required. Bringing medical care to fingertips is the motto of ADS’s Healthcare app—MedicsMobile—that allows healthcare practitioners to see schedules, add new patients, post procedure and diagnosis codes, and update patients’ demographics and medical data. Another key offering by ADS, MedicsRCM ensures transparent medical billing services for RCM companies that typically use another vendor’s software to handle their client’s work. MedicsRCM leverages ADS’s MedicsPremier and other EHR systems to allow clients with a cloud-based Medics system for a 24X7X365 access to their data. Operating on a same day schedule for patient encounters occurring during normal business hours, MedicsRCM ensures claims are submitted by the very next business day for after-hours encounters. Also the credentialing feature ensures that the RCM’s credentials are kept in order and up to date. ADSC is a people-first organization with an open work culture encourages employees to contribute and feel empowered to share ideas and opinions. The firm’s proactive programming team stays abreast with the latest industry requirements and evolving technologies to assist medical practices more efficiently.